Wedding nuptials are over and it's time for the reception! 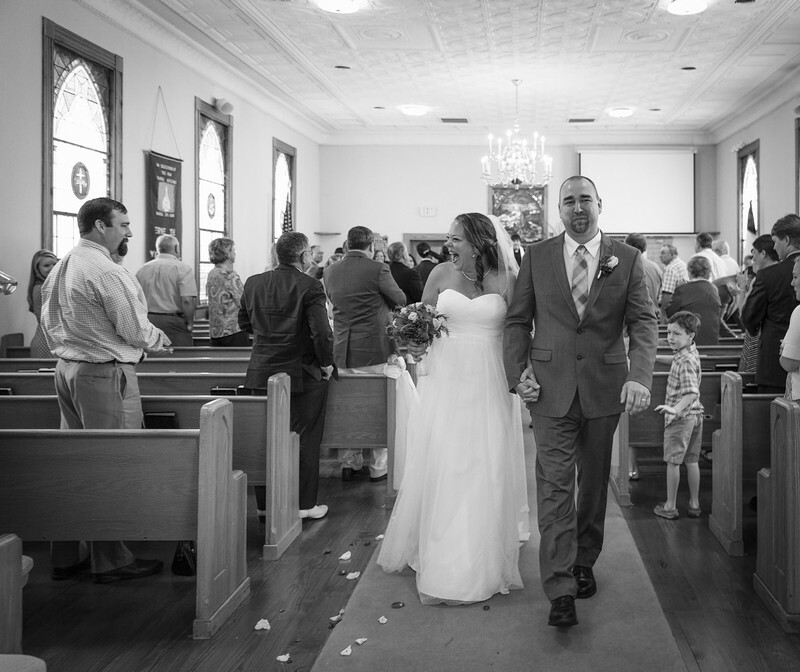 Bride and Groom walking back down the aisle after exchanging vows in front of family and friends at rural Fairview Christian Church in Hood Virginia. Small reception to be held in hall of the church, on a bright sunny day with family and friends. Photographed with Canon 5DMIII and Canon 24-70mm f/2.8 lens. Processed with Adobe PS, LR, and AS Exposures.